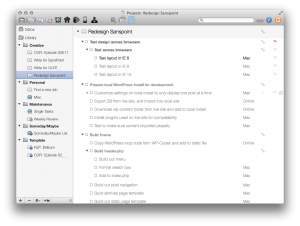 Reconsidering Analog Productivity – Sanspoint. 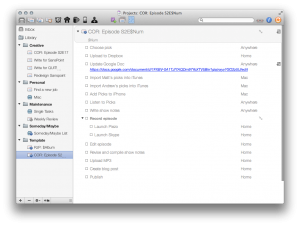 Patrick Rhone has a very simple productivity system. He writes three things he wants to get done on an index card, and he keeps a running journal in a notebook with a system he calls “Dash/Plus”. I’m not so good at remembering to write things down, but I’ve taken the idea of Patrick’s “Today Card” and incorporated it into OmniFocus, flagging three important things I want to get done today. I don’t always succeed at all three, but getting at least one done means I’m moving in the right direction. When I wrote about eschewing analog workflows back in March, the focus was on sustained writing, but some of the points extend to purely “getting things done,” too. The default behavior when I have any new stimulus that needs capturing, is to whip out my phone and type it up as a note in Drafts. It’s my instant collection bucket, no more than two taps away from sending it where it needs to be. It’s ingrained enough that it’s second nature, and why I make sure to keep Drafts in my iPhone and iPad docks. 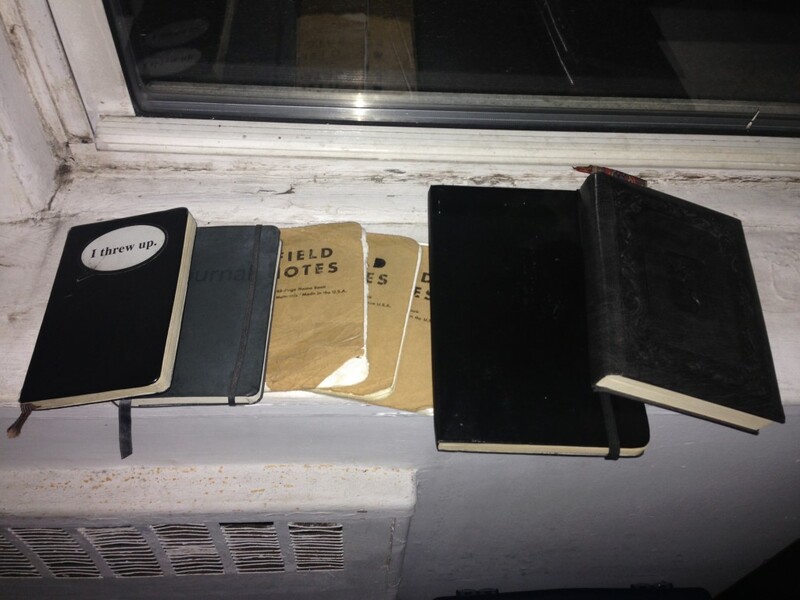 A few of the notebooks I’ve yet to fill up over the past seven or eight years. But the siren call of a low-tech solution to keeping track of things still appeals to me in some way. I look at the piles of stuff in OmniFocus, and wonder if I need such hyper-detailed lists of tasks for some of my projects, especially if I’m just doing three “things” per day. I wonder if I couldn’t just train myself to reach for a pocket notebook and pen when I need to take something down, instead of my phone. I wonder if I could actually improve my atrocious handwriting with the practice. I wonder what I’m missing out on by not having a hard copy record of my day, my ideas, and my life. And I also realize that twice—more than twice—I’ve “burned my life’s work.”  I’ve turned piles of my writing from adolescence and (very) early adulthood into nothingness with a keystroke, but I have a small stack of half and quarter full notebooks that remain. They’re full of journal entries, snippets of fiction, doggerel verse, and random notes. The digital fragments of my old lives were much easier to destroy. 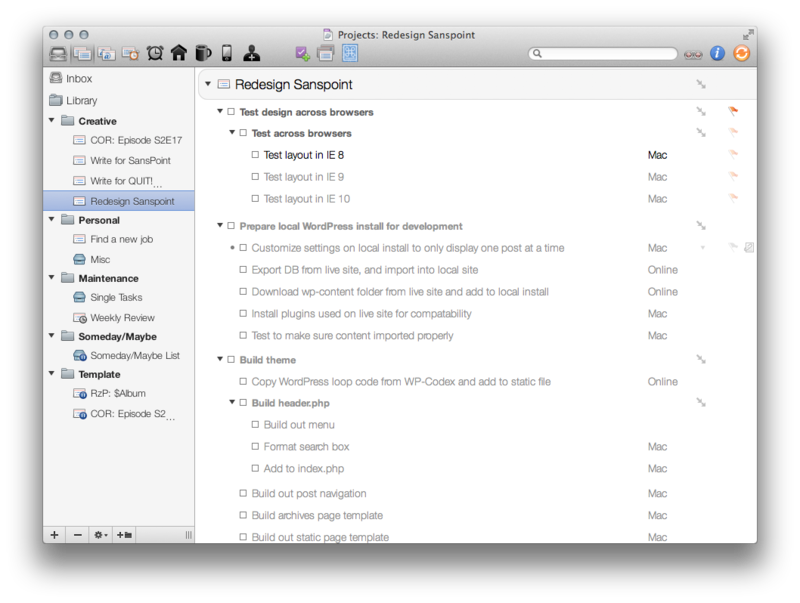 In all honesty, I do need the hyper-detailed task lists I keep in OmniFocus—at least for some things. I do find it easier to write with a keyboard on my computer or iPad instead of on paper. I have a system that, more-or-less works. I also don’t have to completely give it up to try going analog for some things. Perhaps I’ll indulge my curious impulses, buy a new, empty square ruled notebook, and give the Bullet Journal system a go. A hybrid system may work, or it may not. It would be foolish of me to dismiss it without trying it first. I’ll report back on my findings.